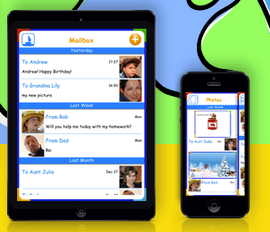 Last month I featured a new tech tool that allows children to email safely. TocoMail provides a closed network for student email that teachers can monitor. This includes controlling contact lists so students can write emails only to their classmates. With TocoMail students can learn about digital citizenship and English Language Arts skills. Kids can practice writing emails as they collaborate with their peers on projects or simply share feedback or ideas. TocoMail has recently added a bullying recognition filter that is worth checking out! The filter checks each student’s email for keywords and contextual phrasing that may signal bullying. If TocoMail identifies a pattern of bullying, the email is redirected to the Quarantine box so teachers have to approve it before it is sent out. TocoMail is addressing the concerns of teachers and parents who are noticing an increase in how bullying takes place through digital communication. Learn more about TocoMail by visiting their website!